by David Mitlyng, Senior Vice President, Business Development and Strategy, BridgeSat, Inc. The highly directional nature of optical comms provides a Low Probability of Intercept/Low Probability of Detection (LPI/LPD) method that supports military operations in contested areas. Optical communications systems have been demonstrated for decades, but, thanks to recent technology advancements and the work of new innovative companies, they are now ready for wide-scale deployment. This article will describe the benefits and history of optical communications, as well as the recent technology advancements that finally make this a viable solution for the next-generation of communications. Traditional radio frequency (RF) communications are subject to unintentional and intentional interference, hostile and self-jamming, and interception; all while having data rates that are limited to the available spectrum. Optical communications provides secure, robust communications between satellites, Remotely Piloted Aircrafts (RPAs), Unmanned Aerial Vehicles (UAVs), Unmanned Undersea Vehicles (UUVs), High Altitude Platforms (HAPs), and mobile and fixed base stations. The RPA/UAV/UUV primary mission is to collect Intelligence, Surveillance and Reconnaissance (ISR) data using ever more advanced radars and sensors, as well as signals intelligence (SIGINT) and electronic countermeasures (ECM) while rapidly disseminating this mission-critical data to tactical users in the theater of operations. Implementing these capabilities provides a major challenge for traditional RF communications with limited data rates, while current optical laser comms systems offer 10 Gbps data rates using commercial hardware, with the capability to grow to Tbps data rates and beyond. Even with access to high-frequency RF spectrum and millimeter wave regions and state-of-the-art encoding and modulation schemes, RF signals can’t match these data rates. An accepted part of military communications design is the problem of intentional jamming from adversaries. For the RF systems currently in use, sophisticated anti-jamming measures are implemented that add to the complexity and cost of the system and further reduces the data throughput of the signal. The highly directional nature of communication lasers makes them resistant to jamming, as the optical receiver can easily reject all signals outside their narrow field of view. Military communications signals must be designed so that they cannot be intercepted and decoded by adversaries. For RF systems, that is an extremely difficult objective to achieve, due to the spreading function of the RF signal. Instead, these units must employ encryption techniques and sophisticated waveforms to protect their signals from detection and interception. These functions affect the data throughput and increase cost and complexity. For the RPA/UAV/UUV platforms, as well as the mobile Warfighter, size and power consumption of their communications equipment is a major concern. To this end, optical communications offer a significant size, weight and power (SWAP) reduction compared to RF equipment with equivalent capabilities. While optical communications offer these benefits, the major limitation is the inability to communicate through clouds or other obstructions. For most military users, this means optical communications must be considered as part of a larger architecture that include RF communications. 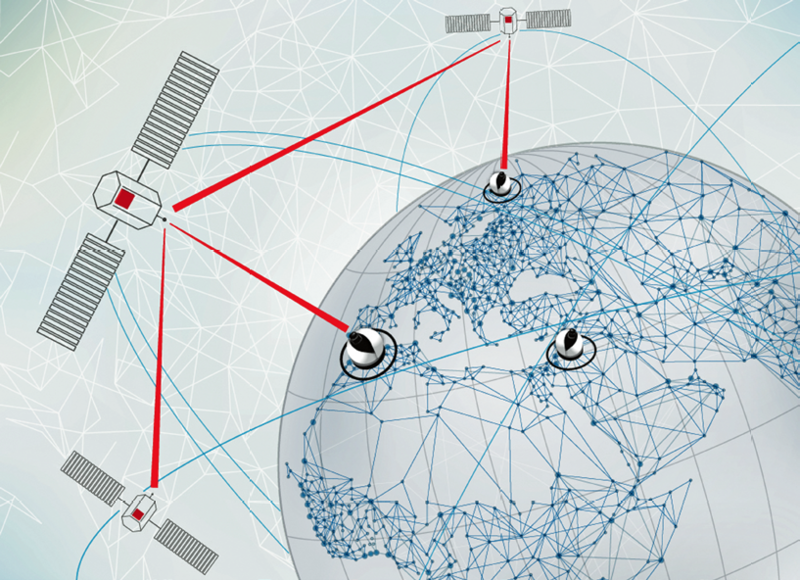 For example, aircraft, satellites and terrestrial assets can be linked as optical nodes in a resilient mesh network. Optical communications can also be considered to augment current systems in case of jamming or for specific use applications, especially with the current low-SWAP hardware. Ground stations for comms reception and delivery. 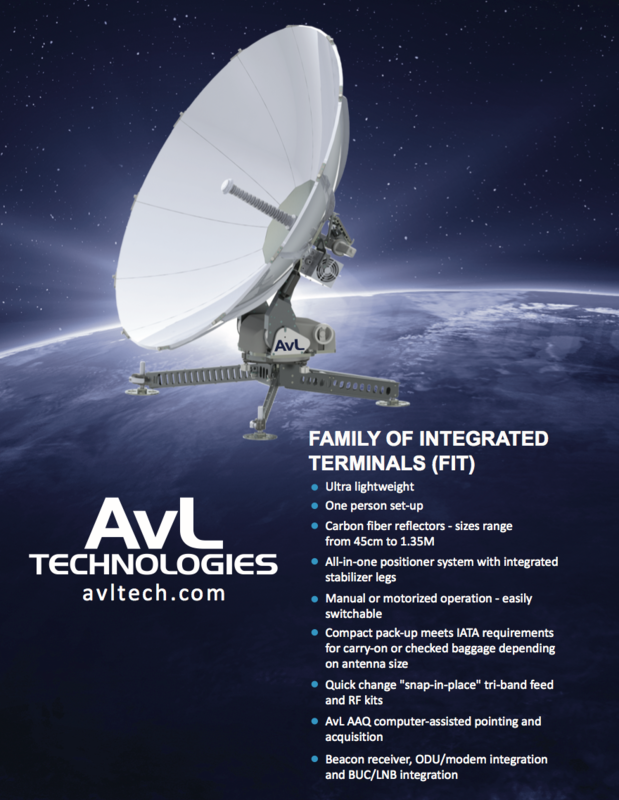 In the commercial market, hybrid laser-RF satellite communication networks with automated hand-offs based on transmission conditions and business rules are available. 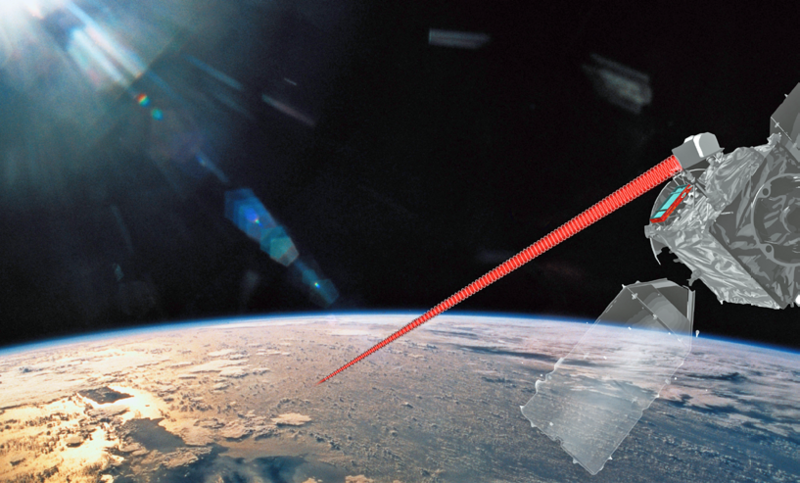 The military communications community should build upon the advances in commercial laser optical communications early in their design trade spaces for future networks. Today, even more ambitious free-space optical communications systems are under development within the scientific and military communities. 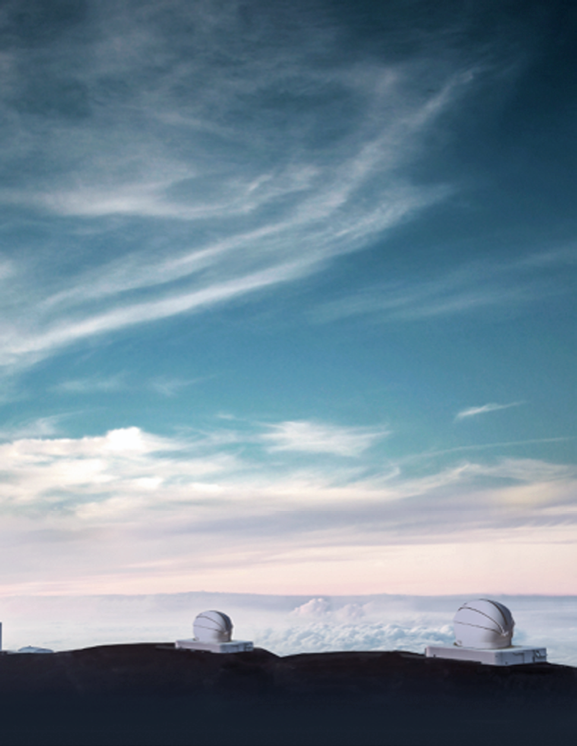 But there is also a lot of activity in the commercial sector, including LeoSat, Laser Light, and Facebook’s Connectivity Lab. The state-of-the-art has advanced rapidly in the past few years, led by developments in amplifiers, lasers, and acquisition tracking. In addition to the billions of dollars invested in technology by the terrestrial fiber optic communication industry, these efforts have been augmented in the free-space domain, in part, by commercial investment from the traditional defense and aerospace companies in the US, Japan and Europe, as well as a wave of smaller companies looking to commercialize these advancements, such as BridgeSat (see below). The focus of these commercial developments has been on compact high-data-rate free-space optical communication terminals ideally suited for small Earth Observation satellites. Previous hardware relied on large, complex steering mechanisms on heavy stable optical benches, in addition to power-inefficient multi-stage optical amplifiers. However, current designs use fast steering mirrors (FSM), and optical closed-loop beacon tracking, to provide a tighter optical communication beam in a much smaller package. In turn this reduces the required power output for the optical amplifiers, resulting in a smaller electronics package. These advancements have significantly reduced the SWAP, with commercially available 10 Gbps designs that are less than 5 kg with very low power consumption in a form factors that can even fit in cubesats. These compact commercial designs can meet the requirements of the mobile military on all but the smallest RPAs. With this heritage and recent developments, proponents for optical communications agree that the technology is mature enough for adoption in the military realm. Part of this maturity is led by technology adoption in the private sector, where the costs and technical risks have been rapidly reduced. But for the military to take advantage of this development, companies need to understand the strict requirements of their mission critical applications. This is where BridgeSat offers a bridge (pun intended) between the commercial state-of-the-art and the MilSat, RPA/UAV/UUV and Warfighter community. BridgeSat was formed specifically around the development and advancement of free-space optical communications. By offering a turnkey optical comms system, BridgeSat has been awarded a number of commercial satellite missions, including some missions that will lead to space-to-ground transmissions as early as by year's end of 2017 (launch vehicle schedules permitting). For system operators considering optical communications, BridgeSat can bring a wide range of experience with commercial programs to support the integration of optical communications into the larger communications network. In addition, optical communications is BridgeSat’s singular focus, unlike other larger aerospace and defense companies. This makes BridgeSat the ideal partner to support the early development of advanced optical communications architectures, as there is no distraction or conflict with other systems within the company portfolio. Optical communications technology has now matured to the point where it is ready to serve the advanced needs of today’s MILSATCOM, RPA/UAV/UUV and Warfighter communities. Architects of tomorrow’s communications networks need to include optical communications in the early stages of their design to take full advantage of this rapidly advancing commercial technology. 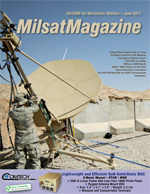 To facilitate this revolution in secure, resilient communications, BridgeSat stands ready to provide access to global commercial networks for laser communications from space, integration engineering, and test resources required for a successful MilSat laser communications program. During his more than 20-year career in the satellite industry, David has served in Systems Engineering and Business Development roles at Hughes Space and Communications (now Boeing Space Systems), Orbital ATK and SSL (Space Systems Loral). David has a BS degree in Aeronautical Engineering from California Polytechnic State University, SLO, an MS degree in Aeronautics and Astronautics from Stanford University, and an MBA from the MIT Sloan School of Management.